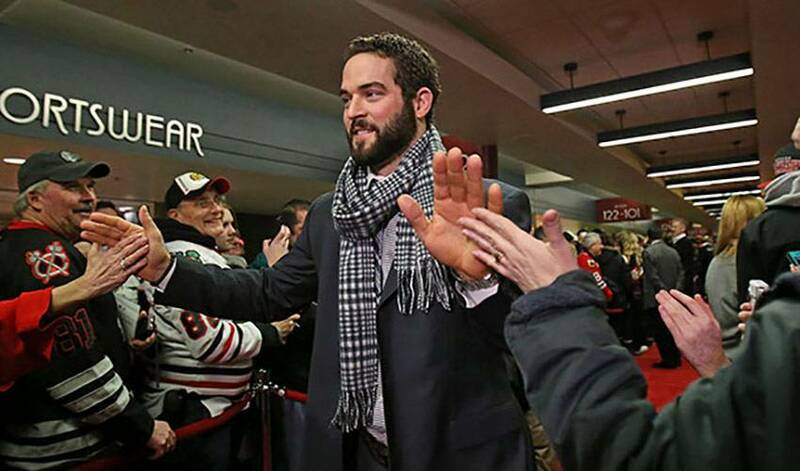 After the buzzer had sounded at the conclusion of game six in the 2013 Stanley Cup Final, Bollig and his Chicago teammates began the annual rite of holding hockey’s most treasured team trophy aloft. When it was his turn, the 26-year-old was equal parts panic and pumped. Not heavy enough, however, to prevent Bollig, the first St. Louis-born player to win the Cup, from completing the task without incident. Bollig had plenty of familiar faces in the crowd at TD Garden in Boston when Chicago staged a late-game comeback to win the championship by a score of 3-2. On July 31, Bollig took to Twitter to announce he’ll bring the storied trophy to Missouri, namely, the St. Peters Rec-Plex. He didn’t need to be reminded the Blues have yet to win the Cup. He did, however, note that he received a little love from some St. Louis players and supporters. Once cut by his midget AAA team, Bollig remained undaunted, hoping he’d one day have the chance to skate against the best players on the planet. And now, mission accomplished, he returns home a Stanley Cup champion. It doesn’t get much better than that. This time, though, he won’t worry about dropping the nearly 35-pound trophy.